I've been working out the best, and cheapest, way that I can create a bass guitar setup for a forthcoming gig. I haven't really played bass in anger for a long time. So, I don't have the necessary equipment to hand. Or at least, that's what I thought. But, I remembered that I had a cheap and nasty electric precission bass copy in the attic next to the practice amp. Also, what about that huge bass producing lump that sits in the corner of my lounge augmenting the hifi sound - the massive bass cab with the 18 inch Goodmans bass speaker powered by the BK Electronics BSBP 275 subwoofer plate amp... Could that act as a decent bass amp for the precision bass...? Well turns out it can. And, do a rather splendid job of it. 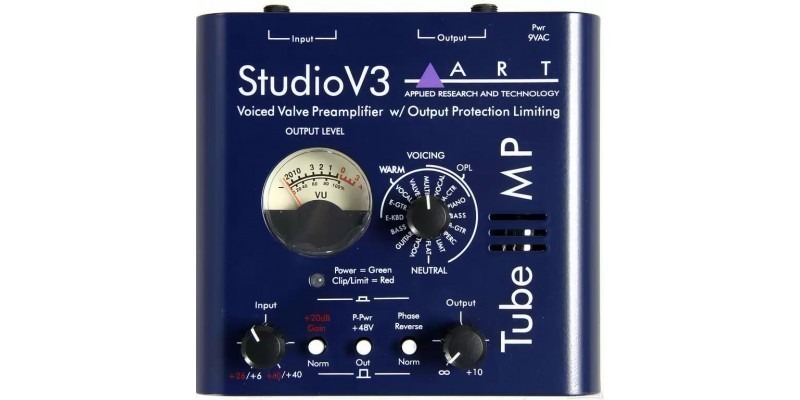 But, only with the assistance of another attic find, the Art Studio V3 tube valve pre-amp, that I had completely and utterly forgotten about. I am hugely pleased with the resulting sound. It's probably the deepest, most powerful bass sound I've ever achieved with a guitar. I used to have a big Laney amp setup, with 4x8 drivers and that didn't sound like this. I've set the frequency cut-off on the subwoofer amp as high as it will go, so it's not all 20Hz rumble! :-D I did try switching out the cut-off altogether, but this just exposed the crapness of my guitar. But, with the mid-frequency hollowness eliminated it sounds like a pretty respectable instrument. Deep and smooth. I'm quite happy. I just to get some practice in now! Finally, the excercise has made me reflect on how for me getting hifi "right" is all about how well I can get me system to get out of the way and act as a clear stage for recordings; the less "voicing" it contributes to the sound, the better. But, in the case of getting a desireable sound out of my fingers on the bass strings, almost the opposite has been the case. Many , many years ago a friend who worked at AudioT was asked to make a valve amp for a guitarist. So he made it the best he could and it sounded wonderful. When given to said guitarist his first reaction was "Distortion, where is the distortion, it's no use without distortion". Many , many years ago a friend who worked at AudioT was asked to make a valve amp for a guitarist. So he made it the best he could and it sounded wonderful. When given to said guitarist his first kreaction was "Distortion, where is the distortion, it's no use without distortion". That is sort of my point. That for an instrumentalist, "creating" music is in part about creating a sound that one likes, by changing peramters, adding effects, etc.,... For the hifi bod, such things are anathema! Absolutely! The musician wants a sound, whatever it takes to get them there. The "hi-finatic" wants to hear, as near as is possible, what the musician/producer intended. On the whole I'm not much of a valve fan in audio gear but there are exceptions. I still remember the first time I heard a pair Graaf GM20s in bridged mode, totally blown away! Nor I. Tho I have very little experience. I think I bought this thing on a recommendation from a musician friend. For me, the presence of a valve was a curiosity.